My 1998 Eclipse GST suffered a spun rod bearing on my way to Stillwater back in 2005. It sat until 2009 when I attempted to just replace the rod bearing and see if it would run. A couple days later it was apparent it wouldn't. It has sat since then, waiting for me to have the time to tear it apart. I've been working on it for the past month or two when I have the time and now it's ready to pull the motor. Over the next month or so, I'll be posting the motor rebuild. 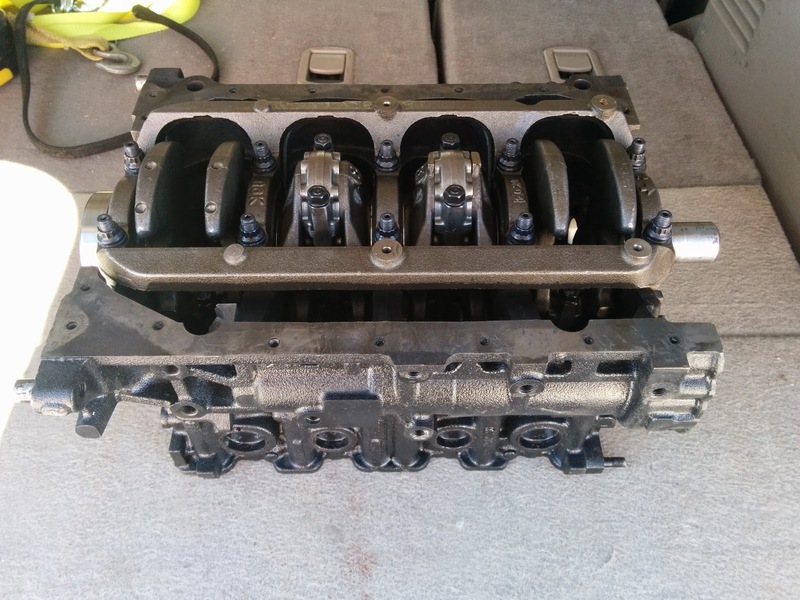 I purchased a short block back in March, rebuilt by BogusSVO off the DSMTuners forums. It has ARP rod bolts and studs as well as being prepped for balance shaft removal (no shafts and welds to block the front shaft oil holes). The next post or two will be the removal of items needed to pull the motor. I may start making videos of the rebuild process, we'll see if I have time for that.